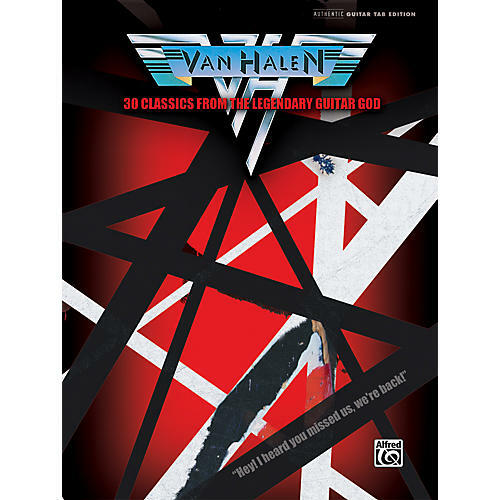 This book contains authentic guitar TAB transcriptions of Eddie Van Halen's legendary guitar work. Titles: Ain't Talkin' 'Bout Love * And the Cradle Will Rock . . . * Atomic Punk * Beautiful Girls * Cathedral * Dance the Night Away * Eruption * Everybody Wants Some * Feel Your Love Tonight * Hang 'Em High * Hear About It Later * Hot for Teacher * Ice Cream Man * I'm the One * Intruder * Jamie's Cryin' * Jump * Little Guitars (Intro) * Little Guitars * Loss of Control * Mean Street * Panama * (Oh) Pretty Woman * Romeo Delight * Runnin' with the Devil * So This Is Love? * Somebody Get Me a Doctor * Spanish Fly * Unchained * You Really Got Me.